Steveso Thinks: A Justice Department Without Lawyers? 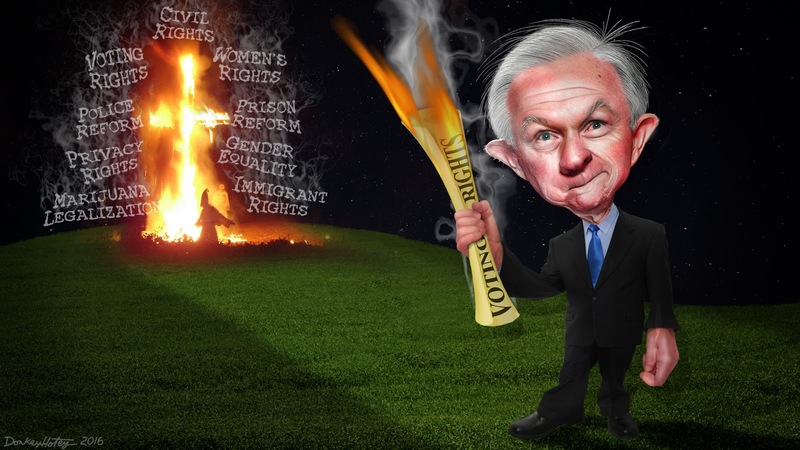 Two days ago Attorney General Jeff Sessions fired 46 US Attorneys, who were appointed by Obama. This is really not uncommon since most new incoming administrations eventually replace the US Attorneys named by the previous administration. But always those administrations waited until they had replacements! But in keeping with Trump's administration of incompetence and secrecy this was normal. I have two serious concerns about Session's firings. First of all with the number of lawsuits piling up against Trump's new Muslim ban, there won't be any US Attorneys to defend Trump's ban. I really don't care about this as the ban is definitely racist and unconstitutional. My second concern is more troubling. With all of the investigations centering around the members of the Trump team involved with the Russians and ethical misconduct, it appears that Trump and Sessions have gotten rid of anyone who was in a position to investigate the charges leveled against them. It does appear to be a massive and treasonous coverup!